As we all see Nokia 6 is very well-built and this is a big difference comparing it with other brands. Moreover all Nokia phones i have,feels good in hand and looks fine. If i'm not mistaken Nokia released also the first phone ever available in different colours. and i love Nokia because Nokia loves to innovate!!! I am so surprised! 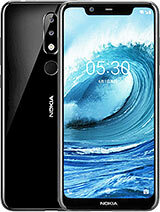 Nokia is in Rank 4 in the Top 10 Most Popular Smartphones in GSMArena. I think Nokia is still popular around the world. AnonD-625786, 10 Jan 2017$250 is overpriced? SD430 at that price tag? Tell me the meaning of reasonable. viper, 10 Jan 2017All these foolish people think that Apple and Samsung are best phones in the world.So let me a... moreI'm agree, Nokia is the best, all others are bad copy..
Jake, 10 Jan 2017Disappointing.... design is fully transformed....where is carl zeiss, where is pureview, where... moreThis phone has Clearblack display. but the 'Clearblack' branding was sold to Microsoft. 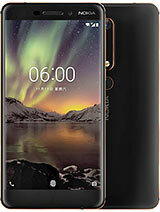 Nokia 6 has polarize layer in the display. 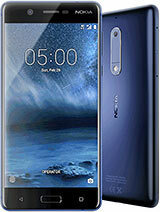 Please check the nokia website for accurate specification. iMic, 10 Jan 2017Disappointed. 1. Where is AMOLED? 2. 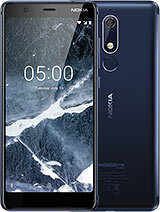 Where is NOKIA style, it looks like this is a else one... moreit's 1/3 the price of flagship phones from Apple, Samsung and Google. It's more on the range of Galaxy J's and just above Huawei 4X and such. you get the idea, they are not launching on the flagship level, that might come next, hopefully. Jake, 10 Jan 2017Disappointing.... design is fully transformed....where is carl zeiss, where is pureview, where... moreThose specs must be for flagship models to come. this is just an entry little muffin...6/10 price range. All these foolish people think that Apple and Samsung are best phones in the world.So let me ask you a simple question?Do you know who's technology that apple is using?The technology is from Nokia.Apple has stolen 32 unauthorized technologies from Nokia.That's how they made their phones to look better.Think wise.Nokia is the BEST of the BEST.All I have to say is " YOU JUST WAIT AND SEE THE REAL TECHNOLOGY FROM NOKIA"
AnonD-630728, 10 Jan 2017Snapdragon 430 is little bit low .........as compare to exynoss and snapdragon 820 & 630 .... morefor the price, not that bad. Jcab, 10 Jan 2017Dude this is just a trailer. 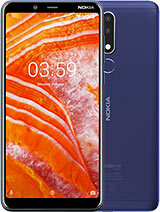 Wait for the entire series to release... welcome back nokia.Snapdragon 430 is little bit low .........as compare to exynoss and snapdragon 820 & 630 .
does it support DSLR-like manual camera controls or settings? i didnot expect that. sd 430 for that price. donot try to be like crappy asus and apple. a 16 mp camera for show off. comeon 1.0micro metre pixel size.